life changes, they can too. Here today. Gone tomorrow. Being rooted to the land is what has defined farming for generations. The practical reason is all the time and effort spent in soil building. 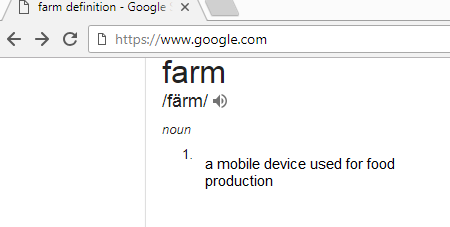 But since SPIN farms are typically 40,000 sq. ft.(about an acre) or less, soil doesn’t represent a big investment. The plot in Saskatoon was only one of several Wally uses, and at only 1,000 sq. ft., it’s easily replaced. Wally is still a full-time farmer. His home base now is Pleasantdale, and it meets two of his biggest farm requirements – municipal water service and a good Internet connection. His grow room is put back together, and the greenhouses may or may not be pressed back into service. He’s figuring out how to structure his new operation now that he has a 2 hour commute to market instead of a 5 minute one. His crop repertoire is getting a revamp. But he’s got lots of options because he realized long ago that being tied to the land can mean having a noose around your neck. In a time when the ability to change quickly and continually is a competitive advantage, permanency isn’t at all useful. Flexibility, not land, is a small farmer’s most valuable asset. LEARN THE BUSINESS OF GROWING FOOD FROM THE BEST MINDS IN BACKYARD FARMING TODAY BY JOINING BACKYARD RICHES HERE.